The former Dish Network employee who was fired for using medical marijuana says he has plenty of free time on his hands - and will use it to crusade for changes in the law. The Colorado Supreme Court ruled Monday that the satellite service provider had the right to terminate Brandon Coats for testing positive for marijuana, even though medical pot is legal in the state. 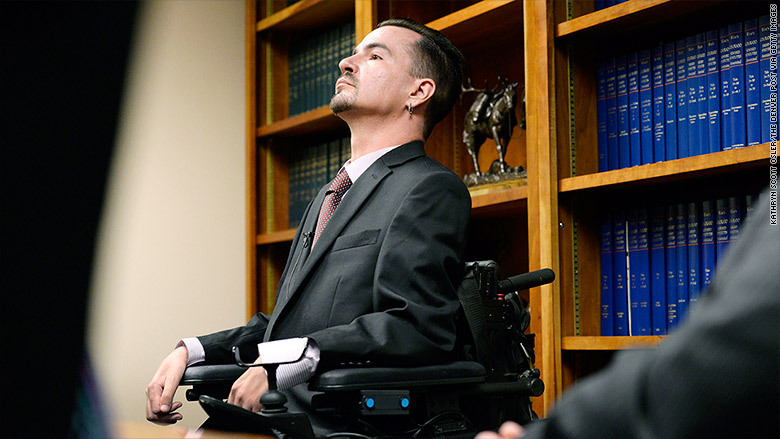 The 35-year-old Coats, who was left 85% paralyzed by a car accident 20 years ago, now says he will turn to lobbying the state legislature to pass a law that will explicitly protect employees who fail drug tests because of medical marijuana use. "I won't be able to work if things don't change, so I'm going to spend time advocating," Coats told CNNMoney. 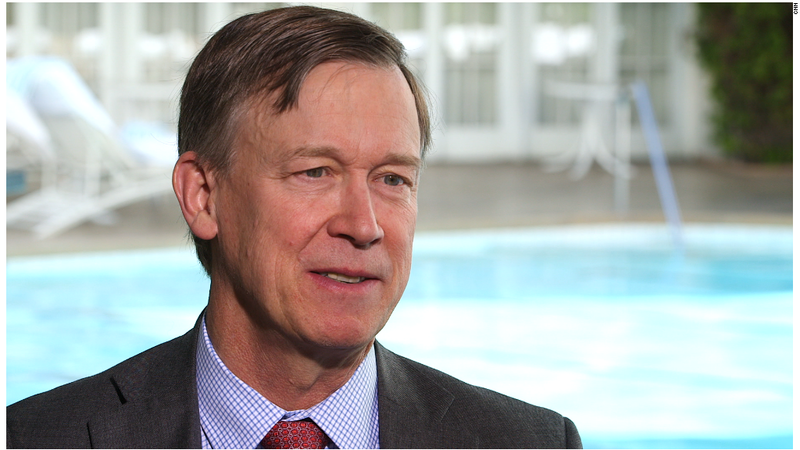 "If we're going to make laws that make medical marijuana legal, we have to address issues that go with it." Coats said stopping his marijuana use wouldn't make him employable. Without pot, his muscle spasms become severe enough to prevent him from getting any work done. So for now, he's living on disability income, the settlement money from his accident, and support from his family. "I had the perfect job," Coats said. "I had a computer and a phone, and I could work both of those things." And he said when he does find a job he is capable of doing, employers often ask in the interview process why he was fired from Dish (DISH) -- and because the legal issues surrounding medicinal pot use are still up in the air, potential employers are wary of getting caught up in the fray. In Coats' case, the Dish Network successfully argued in court that because medical marijuana is still illegal under federal law, the company had the right to enforce its zero-tolerance policy for positive drug tests. Coats said he walked into his office one day and was surprised to find they were conducting randomized drug testing. "I told the girl [administering the test], 'I'm not going to pass this test,'" he said. "The lab called me, so I went to the HR manager to let them know. They let me work for two more weeks, then I came in one day and my card to open the handicap accessible door wasn't working." A Colorado law that protects workers from being fired for engaging in legal activities only applies when both federal and state law permit the activity, the court ruled. Though 23 states have legalized medicinal weed, only two -- Arizona and Delaware -- have laws like the one Coats says Colorado needs: To protect workers from getting fired for a positive drug test resulting from medical need. Coats said he does not plan to try to take his case to the U.S. Supreme Court because he doesn't think the high court would take it up. In the meantime, he said he's begun looking for advocacy groups that he can partner with to bring the issue to the state legislature.